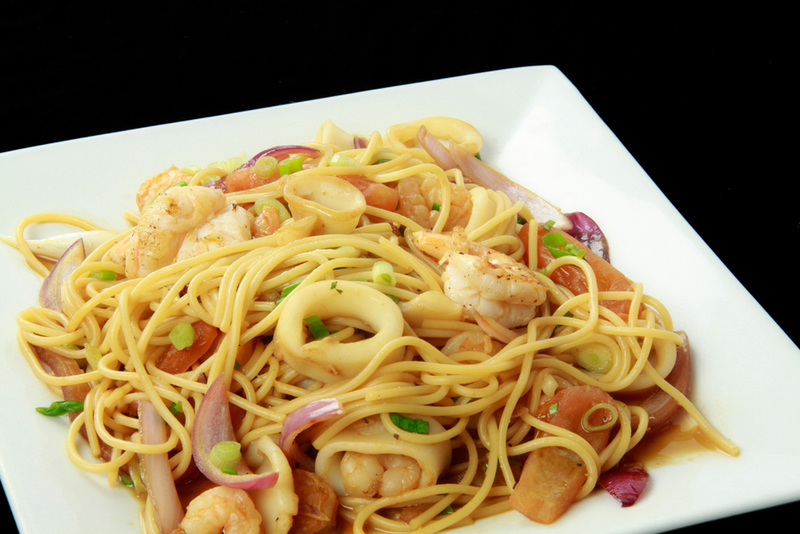 Peruvian cuisine reflects local practices and ingredients—including influences from the indigenous Inca and cuisines brought in with immigrants such as Spanish cuisine, Chinese cuisine, Italian cuisine, German cuisine and Japanese cuisine. 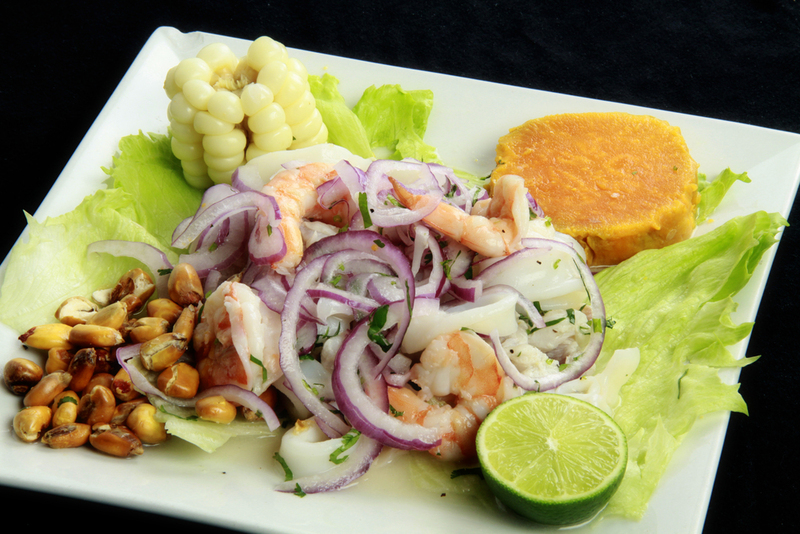 Without the familiar ingredients from their home countries, immigrants modified their traditional cuisines by using ingredients available in Peru. 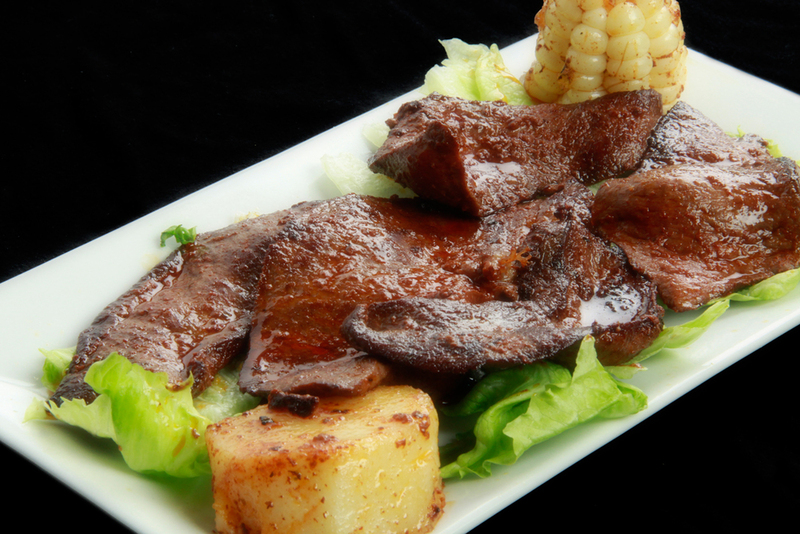 The three traditional staples of Peruvian cuisine are corn, potatoes, and chili peppers. Staples brought by the Spanish include rice, wheat and meats (beef, pork and chicken). Many traditional foods—such as quinoa, kaniwa, some varieties of chili peppers, and several roots and tubers have increased in popularity in recent decades, reflecting a revival of interest in native Peruvian foods and culinary techniques. Pollo a la Brasa, also known as Peruvian chicken or Blackened chicken in the United States, is a common dish of Peruvian cuisine and one of the most consumed in Peru, along with ceviche, and Chifa. 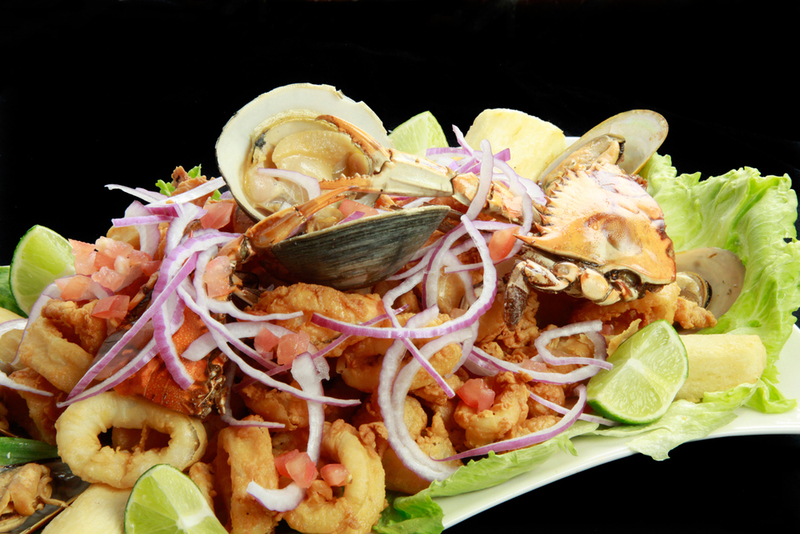 The dish originated in the city of Lima in the 1950s. It is a rotisserie chicken dish that is a Peruvian version of Pollo al spiedo It was developed in Peru circa the 1960s by Roger Schuler and Franz Ulrich, who were Swiss residents in the country. Schuler was in the hotel business in Peru. He devised the specific method of cooking the chicken, observing his cook's technique in preparation, and gradually, along with his business partners, perfected the recipe, creating the Granja Azul restaurant in Santa Clara, district of Ate, in Lima. 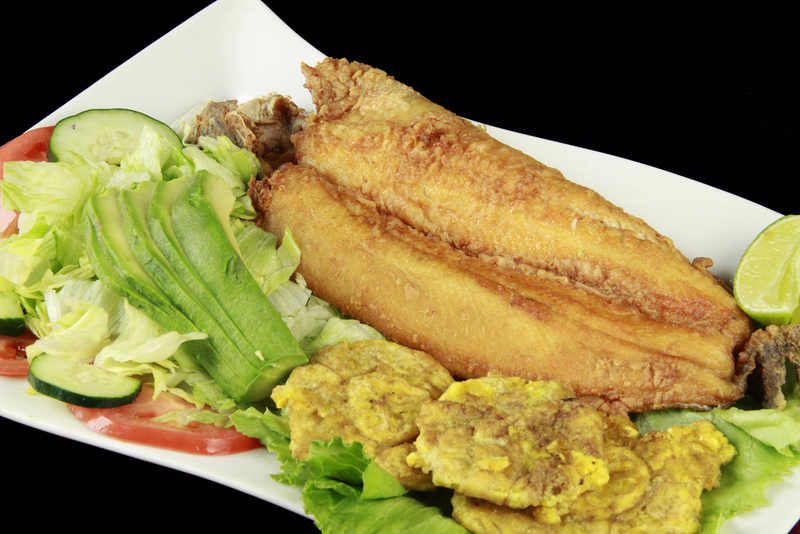 Originally its consumption was specific to the wealthy people (during the 1950s until the 1970s), but today it is widely available and a typical plate of 1/4 chicken with fries and a salad can be bought for about 15 soles, or just under $5. The original version consisted of a chicken (cooked in charcoal and marinated only with salt) served with large french fries and traditionally eaten with the fingers, without cutlery, although most modern Peruvians will eat it with a fork and knife. It is almost always served with creamy (mayonnaise-based) sauces, especially spicy chili cream sauce. We will make you feel at home, our home: Peru! 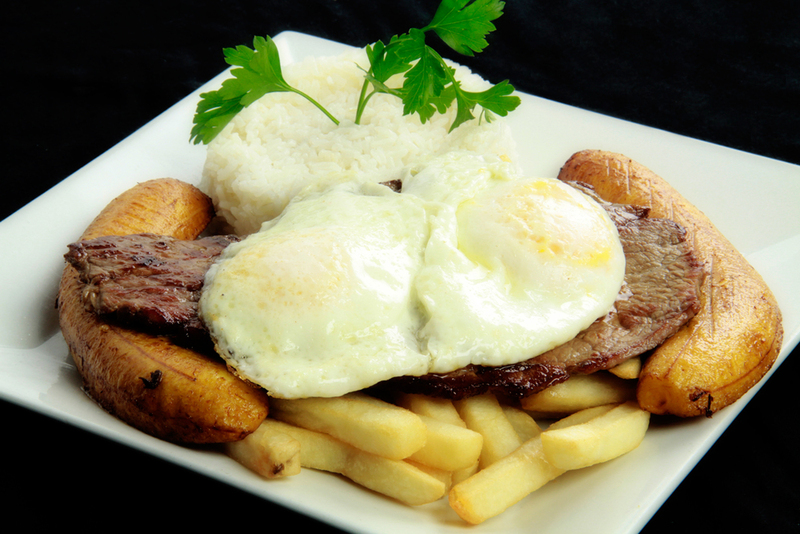 The most authentic Peruvian experience in town!